Tommy O Loughlin who won the World Cup Trout Fly Angling Championship. Photograph by John Kelly. 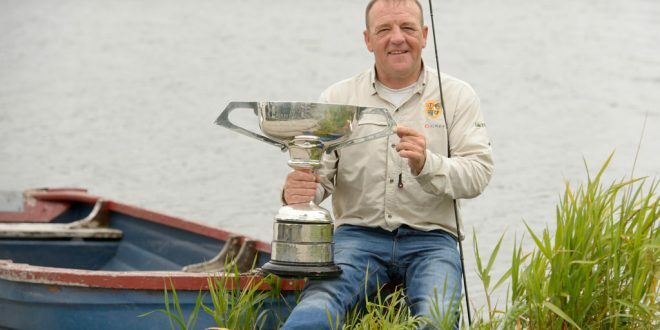 A Corofin man has become the first Clare person to win the World Cup Trout Fly Angling Championships, adding another accolade to his already impressive record. The O’Loughlin name is synonymous with game angling. Three members of the family from Newtown, Corofin – Patrick, Thomas and Seamus – have represented Ireland at international level. However, Monday was Thomas’s day when he took the title at the World Cup Trout Fly Angling Championships on Lough Mask. All three brothers competed alongside hundreds of anglers from Ireland and abroad over the bank holiday weekend. After qualifying from the heats, Thomas went on to win by a comfortable margain in the finals on Monday, ending the day with a catch of 12 trout, with a combined weight of 13.43lbs. His nearest rival was Jonathan Craven of Connacht, who caught eight fish, with a combined weight of 8.51lbs. “No Clare man has ever won it. I was delighted. I won it well in the end. I caught 12 on Monday and the first thing I would have to say is I had an unbelievable boatman in Patrick Molloy. The way it works is that two anglers travel on one boat and the boatman is allocated then at random. It is all above board but our boatman was unbelieveable. His knowledge of the lake was incredible,” he said modestly. “John Byrne was the other man on the boat but I was fishing a different method,” he explained. 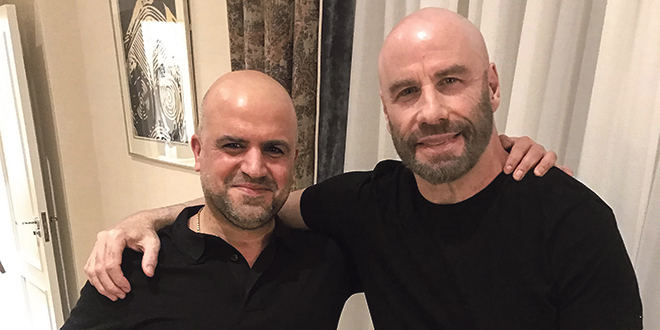 “The method I use is hard to do all day, it is very physical. I was wrecked after it. I had two days of it done and you have to be fairly fit for it. After a while, I said to the fellow on the boat, ‘you would want to change to my method’ but he said ‘no way, I’m not doing that’. “Winning this competition was unbelieveable. The fact I came in on Monday evening and I knew I had it won, it was really unbelieveable. It is a massive competition and the one all anglers want to win,” he added. The 46-year-old world champion has been fishing since childhood, introduced to it by his father, Toddy, a well-known angler. “I’m fishing since I was a young lad. We used to go to Lake Inchiquin. My brothers fish too and my father used to take us fishing and it all went from there. We had a great interest in it. We did the usual craic and went mad for a few years but came back into it again. I just have a love for it,” he explained. According to Thomas, fraternal competition is a great motivator. “Between ourselves it is worse than with anyone else. If we fish in a competition, there could be 200 other competitors but I would want to beat my brother Seamus. The competition is there with Patrick too. We go out together leisure fishing, you know, just for fun. It is a brilliant pastime. You make a lot of friends fishing and there is great camraderie in it too,” he said. “My son Ryan is a fishing fanatic too. He is 21 and loves it. I would encourage any young lad to take it up. I am in the Ennis and District Club and we would love to see young lads coming along and they would be given lessons if they wanted. There are plenty who would love to help them out. We would have six or seven competitions in the year and meetings and if a young person wants to join the club, they can just contact the secretary or treasurer,” Thomas concluded.